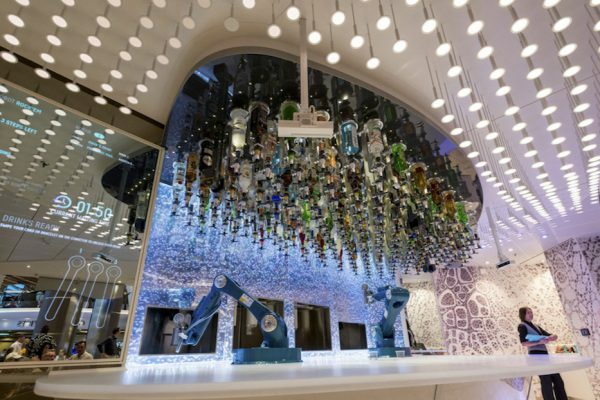 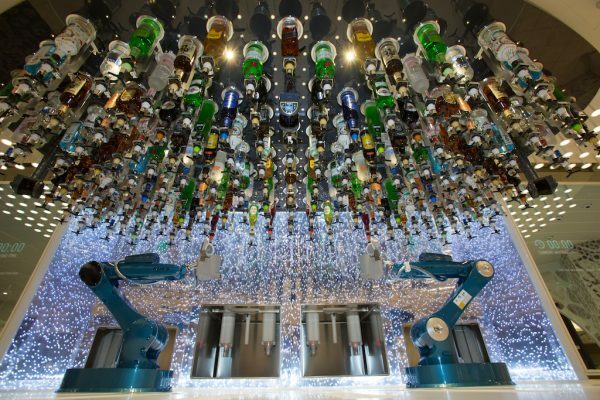 A new installation of Makr Shakr, the world’s first robotic bartending system, has set sail on top Royal Caribbean’s newest cruise ship, Symphony of the Seas. 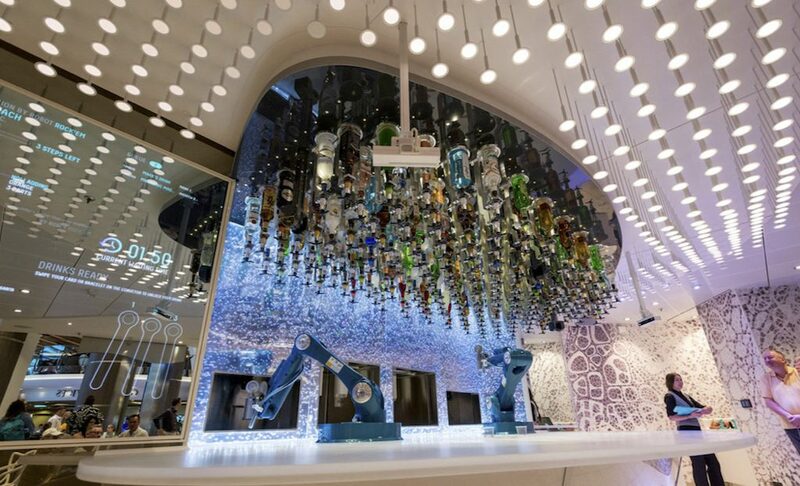 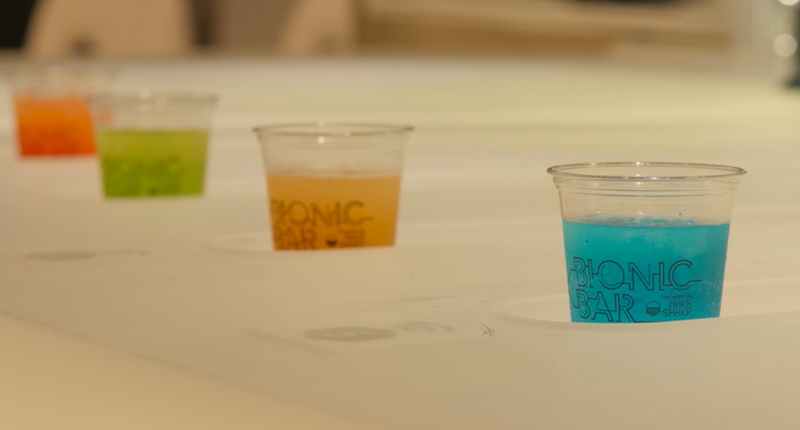 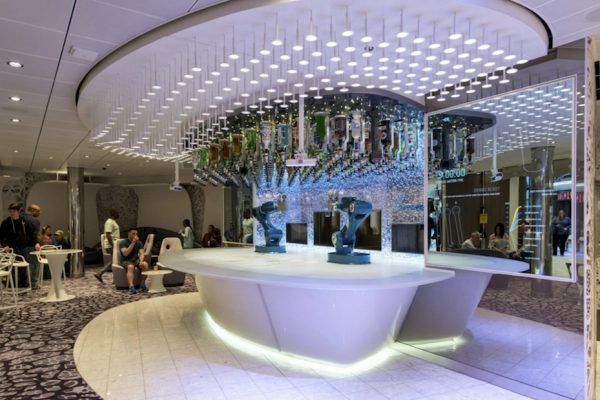 The largest passenger ship in the world – by gross tonnage, could not be complete without the perfect cocktails that Royal Caribbean’s customers have come to expect from the Bionic Bar®. 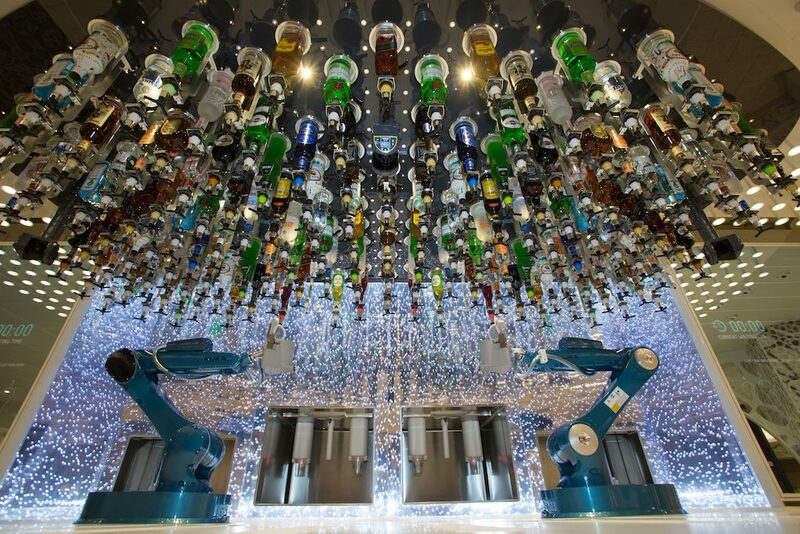 With moves as fluid as the Pimm’s in your cup, the two robotic arms can create an almost endless combination of cocktails, whether it’s a classic Manhattan or a custom order of your own design. 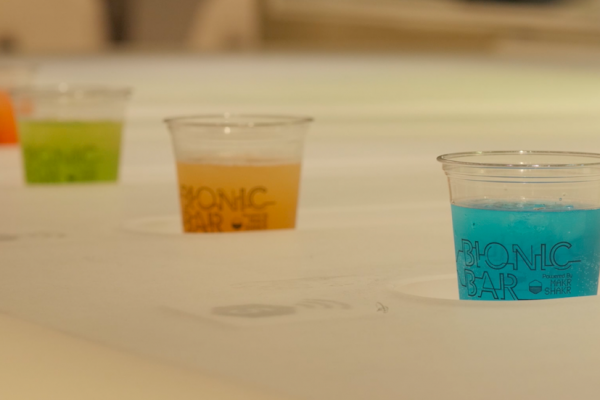 Just order by app on the nearby tablets and watch your bionic mixologist do its thing. 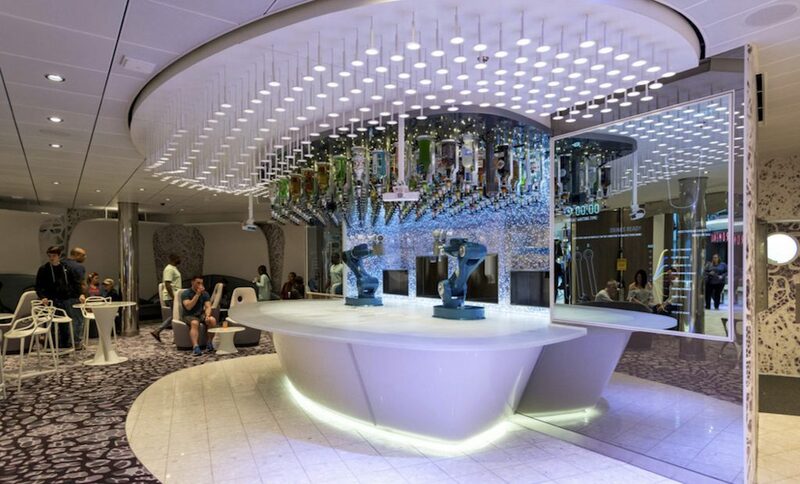 Designed and powered by the minds at Makr Shakr, the Bionic Bar® is making history at sea.